Over 34 years of successful real estate sales experience. Seniors Real Estate Specialist (SRES), professional designation awarded by Seniors Advantage Real Estate Council which signifies that Bill possesses the experience, knowledge and desire to serve and support his mature clients. 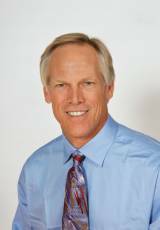 Member of Marin All Star Networking Group and Marin’s top selling real estate office year in and year out. Part of our team approach includes having a full-time licensed sales coordinator, Ginette Kenney. She has superior customer service skills and is proficient at administering all aspects of the escrow process. Additionally, she has worked in real estate for over 14 years. She was born and raised in New Orleans, Louisiana and has lived in the Bay Area for over 24 years. She has been professionally trained by the number one real estate training company in the country, Mike Ferry systems.